This volume provides the most comprehensive and up-to-date compendium of theory and research in the field of human intelligence. 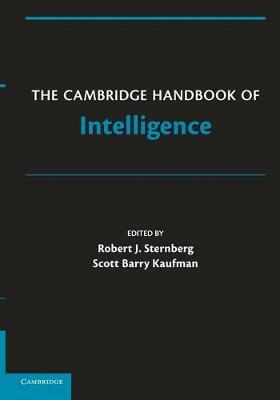 Each of the 42 chapters is written by world-renowned experts in their respective fields, and collectively, they cover the full range of topics of contemporary interest in the study of intelligence. The handbook is divided into nine parts: Part I covers intelligence and its measurement; Part II deals with the development of intelligence; Part III discusses intelligence and group differences; Part IV concerns the biology of intelligence; Part V is about intelligence and information processing; Part VI discusses different kinds of intelligence; Part VII covers intelligence and society; Part VIII concerns intelligence in relation to allied constructs; and Part IX is the concluding chapter, which reflects on where the field is currently and where it still needs to go.